Making the Most of Summer Dance Opportunities. Summer is fast approaching. While for some that means bathing suits and lemonade stands, for serious dance students it means another opportunity to train, work hard and perfect their craft. And what better way to learn new and different things than in a new and different environment? Dance intensives and workshops abound in the summertime. They are a chance for students to practice, learn from new teachers, experience an unfamiliar terrain and meet new friends with similar interests. So what should dancers know about excelling at and enjoying their summer dance program? Dance Informa looks at how to make the most of any summer dance experience. Dancers can choose to take classes at their home studio, if available, during the summer or serious students can study out of town, thus broadening their technique and teacher/friend circuit. Depending on time and interest, dancers may decide between varying formats, from intensives to workshops. No matter the venue, however, summer programs tend to lend themselves to smaller class sizes, more individual attention and tons of dancing. Summer intensive programs like those offered at Boston Ballet School, University of North Carolina School of the Arts and The School at Jacob’s Pillow are called an “intensive” for a reason. Often up to six weeks long, with five to six hours of class each weekday and optional classes or rehearsals on the weekends, these programs are geared to the serious dance student. The day usually begins at 8:30 or 9:00 a.m. with a technique class, followed by specialty classes such as pointe, variations, character, men’s class, partnering or modern, and then repertory or performance preparation. In the mix are often also lectures on nutrition, injury prevention or career-building seminars, opportunities to work creatively with guest choreographers, and a culminating performance. For a more short-term summer dance experience, such workshops as Broadway Dance Center’s Summer Workshop Series allow students to test out a variety of dance styles. During BDC’s SWS, students generally take a 2.5 hour morning class with a workshop instructor, have a 1.5 hour master class for two days and receive a five-class card good for any of BDC’s long list of classes. Whether attending an intensive or a workshop, dancers should take full advantage of everything offered to them. Students should arrive at any program well rested, injury-free, in good shape and eager. They should focus during each class, apply every correction and pay attention to all presentations and discussions. Dancers should “approach their work with an open mind, understanding that they can learn so much from their experience both from the expert faculty and their peers,” says Kelly Kerrigan, summer dance programs manager at Boston Ballet School. With an abundance of dance classes and, in some cases, extreme summer heat, it’s important to try to avoid overexertion and dehydration. Dancers should be sure to drink plenty of water. When students are dancing and sweating, it’s important to replenish and stock up on fluids. J.R. Glover, director of education at The School at Jacob’s Pillow, advises to “pay attention to how you are responding to the weather and adjust your own patterns accordingly.” This could be anything from replacing a morning cup of coffee with a glass of water or wearing breathable dancewear. 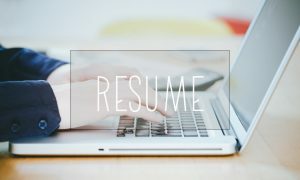 All program directors would encourage students to seize all opportunities to network and connect with dancers and teachers who could be beneficial contacts for the future. “The artist faculty come to know the dancers personally and can be strong advocates for them when their artist friends and colleagues are hiring dancers,” says Glover. At the Pillow’s program, which accepts only 24 dancers per each of its four departments (ballet, cultural traditions, contemporary and jazz/musical theatre), the staff stays in touch with its dancers as much as possible. 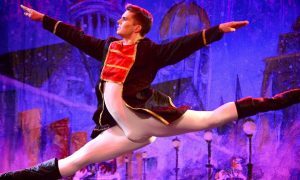 At a school like Boston Ballet School, which is directly affiliated with a professional company, a summer experience “could be the doorway to your future,” Kerrigan says. Many students who have attended BBS during the summer have joined the school, then BBII, are now principal dancers with the company. A summer dance program will provide students with a “deeper knowledge and appreciation for what is required to work as a professional artist,” Glover says. If dancers are open to “try on” new techniques and movement styles, participate in all activities offered, embrace ideas and corrections (and smile! ), then they could be one step in the direction of a long career. 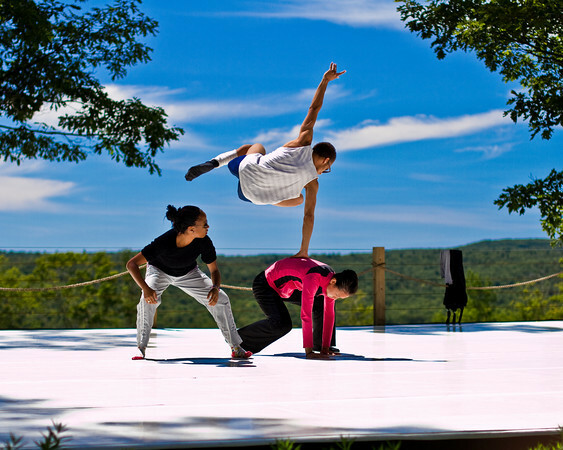 Top photo: The School at Jacob’s Pillow Contemporary Program participants rehearse in preparation for their Inside/Out performance.